The cornstarch acts as the thickener in this homemade stir fry sauce. To make the sauce, simply add all ingredients to a jar and shake. The sauce will not be thick at this point, but the cornstarch will be mixed in with the soy sauce and sesame oil, making it ready to do it’s magic. Cornstarch is my thickener of choice. 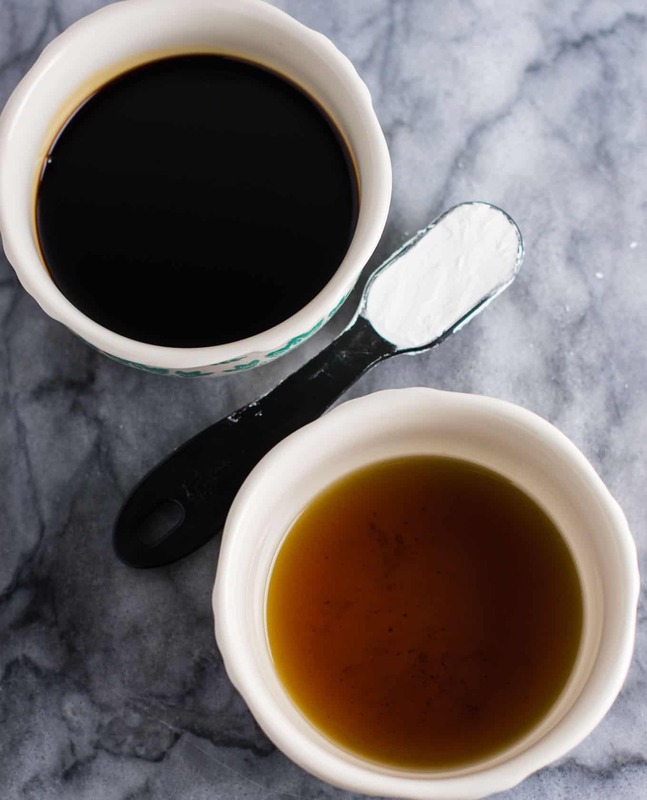 I love that it is a thickener all on it’s own, and I do not have to make a roux, or do anything but simply add it for thickness. I use cornstarch in stir fry sauce, in cheddar cheese sauce, and in nacho cheese sauce too. It’s also naturally gluten free and is a great way to make your favorite recipes if you have a gluten intolerance. How Do You Use Stir Fry Sauce? Now you’re saying, “ok, ok I’m sold. Now how do I use it?” The answer is simple! First, you will cook your protein of choice and your vegetables until the protein is done and the veggies are cooked to your liking. Make sure to use both fresh minced garlic and ginger in every stir fry, as this really makes the flavors pop. This is very important to the taste of the stir fry. For me, I like to leave my vegetables with a little bit of crunch, so I will cook them a little less time, then finish off cooking them in the sauce. Once everything is cooked, you will add the sauce and leave the burner on medium heat. Use a spoon to stir your sauce into the stir fry. 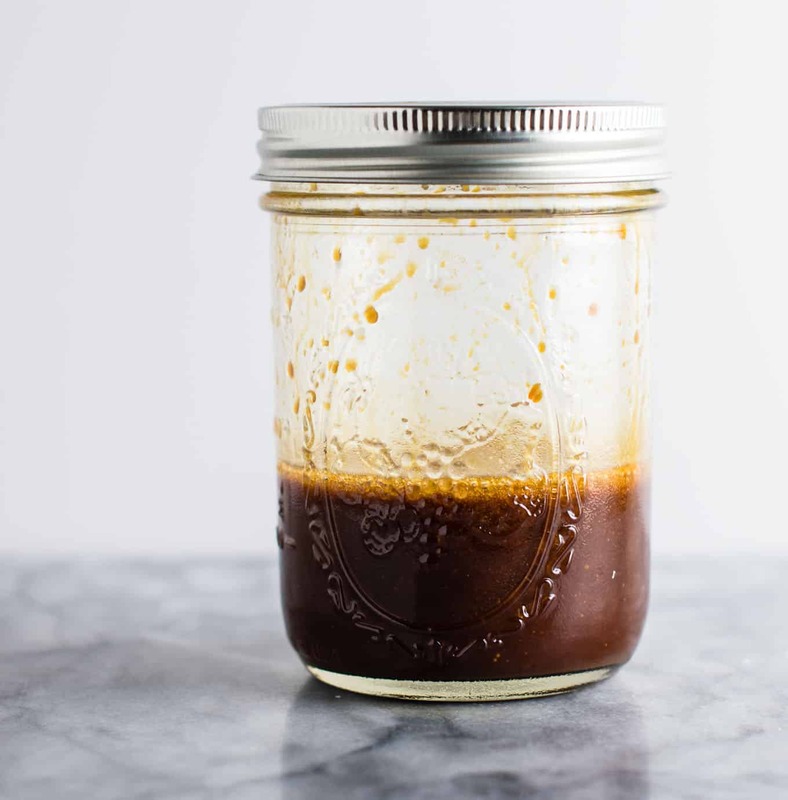 In about 3 – 5 minutes, the sauce will get super thick and stick to your veggies and you can remove your stir fry from the heat. You’re ready to eat! We love eating stir fry at least twice a month. Once I finally figured out the perfect method, it has become a staple dinner for us. I also highly recommend investing in a rice cooker. Between homemade thick stir fry sauce and fluffy sticky rice, you’ll feel like you are eating takeout! Stir fry recipes are also great for vegetarians and vegans. Use tofu or chickpeas for protein, and vegetables of choice for a filling and healthy meal. If you can find pre cubed tofu, it’s even faster to make. What are the best vegetables to put in stir fry? Use this guide next to build your stir fry!